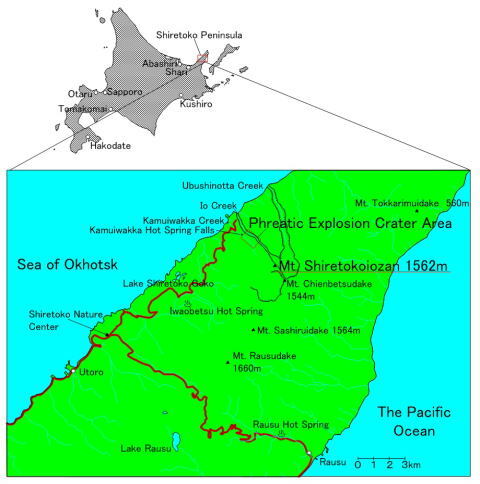 Shiretokoiozan is located in the middle of Shiretoko Peninsula in Hokkaido, northern island of Japan. Shiretokoiozan is famous for its abnormal erupption, the molten sulfur eruption. In 1936, it eruppted about 200,000 tons of molten sulfur fron its mountain side crater. The molten sulfur flowed into neighboring Kamuiwakka Creek. Such a strange eruption is seen only in Shiretokoiozan on the earth or other ones in the Jupiter's satellite Io. The sulfur was taken away almost completely by miners for the material of gun powder because it was right before Japan-China War and World War II. So today we could see the sulfur only in black and white photographs. However, I believe it will erupt several years. 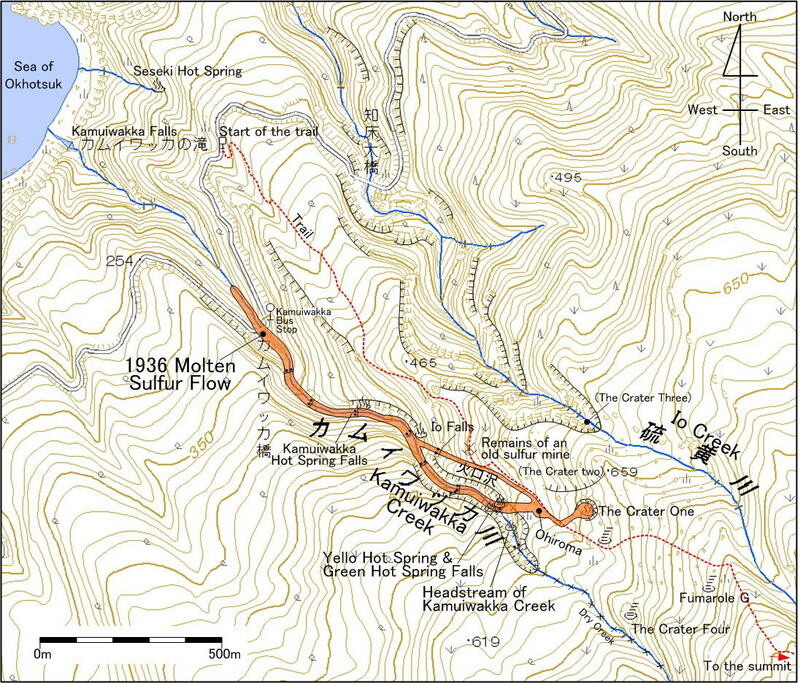 The map of the molten sulfur eruption site in detail. Orange band shows molten sulfur path in 1936.